Marko Babic, a former Strategic Analyst with NATO HQ, Supreme Allied Commander Transformation is an independent analyst conducting foresight analysis for NATO. An Army Reservist, he has served as an Infanteer and Canadian Ranger. Mr. Babic graduated from McMaster University with a Bachelor of Arts in History and continues to be an aspiring student of military and strategic studies in Calgary, Alberta. Claude Bachand has been a Bloc Québécois Member of Parliament for the federal riding of Saint-Jean (Québec) since 1993. He has served Canadians as critic for Indian Affairs and Northern Development for three years, and more recently has also served as critic for Defence and also for Veterans Affairs. He is also active with the Standing Committee on National Defence and Veterans Affairs. Bruce's career with CMC Electronics Inc. (formerly BAE SYSTEMS CANADA and prior to that, Canadian Marconi Company) started as a Project Engineer from 1983-90; Product Manager, Antenna Systems, from 1990-1998; then Director, Avionics Antenna Systems, from 1998-2000. He was appointed Vice President, Aviation Electronics, CMC Electronics in April 2000 and Vice President, Commercial Aviation in July 2002. Prior to that, he worked at Telesat Canada and Miller Communications. Jean Beaudin currently serves as a manager of communications and information management for Defence R&D Canada. His 20-year-long public affairs career contains a relatively even mix of managing domestic and international communications, writing speeches for ministers and senior officials, and serving in every other capacity as a communications strategist and advisor. Dr. Bercuson has published in academic and popular publications on a wide range of topics specializing in modern Canadian politics, defence, military history and foreign policy. He has written, coauthored, or edited over 30 popular and academic books and does regular commentary for television and radio. He received the 2004 Vimy Award sponsored by the Conference of Defence Association Institute (CDAI) which recognizes Canadians who have made a significant and outstanding contribution to the defence and security of our nation and the preservation of democratic values. He is a Research Fellow at the Canadian Global Affairs Institute (CGAI), and Director of the Centre for Military and Strategic Studies at the University of Calgary. Brian Berube is a communications consultant and president of Berube Communications Group Inc.. He has served as Director of Communications for the Canadian Association of Defence and Security Industries, as a strategic communications advisor to the Canadian Armed Forces (CAF) Directorate of CBRN Defence, the CAF’s Canada Command, DND Public Affairs, the Government of Canada's Sustainment Initiative for military equipment and fleets, and the Afghanistan/Pakistan Task Force of the Canadian International Development Agency. The Honourable Jean Jacques Blais, P.C., Q.C., served as Minister of National Defence (1983-84). He is Chairman Emeritus of the Pearson Peacekeeping Center and Chairman of the Canadian Institute of Strategic Studies. In 2003, he spent nine months in Afghanistan and Iraq on Elections related missions, and has recently returned from Sri Lanka where he chaired a Parliamentary study group on conflict-affected societies. A former infantry officer, and a lawyer by profession, Don Blakely has been involved in Ground Search and Rescue since 1987. Currently a Manager with Vernon SAR in BC, Don has responded to hundreds emergencies including floods and urban wildfires. He is a founding member and currently a Director of the Search and Rescue Volunteer Association of Canada and of the BC SAR Association. Don was responsible for the creation of the National GSAR Liability Insurance program and is a co-author of British Columbia's SAR Strategic Plan. He is a Lead Instructor with the SAR Program at the Justice Institute of BC and has participated in the development and continued evolution of BC's SAR training standards and management programs. Don is a regular presenter at Canada's national SARSCENE conference. Don was BC's 1999 SAR Volunteer of the Year and was also the executive producer/program manager for a SAR training film for the JIBC's GSTL program. Christopher Bobyn is a Canadian photojournalist based in Berlin, Germany. His previous work has included extensive coverage of the former-Yugoslavia, the Syrian civil war and the Egyptian revolution. Christopher’s photographic work about the aftermath of conflict in Kosovo was accompanied by a documentary film on the same subject, which he also directed. He has produced photographic and film work for the EU, NGO’s, and various outlets including National Geographic, Deutsche Welle, The Guardian, GEO.fr and MSNBC. BLG is a national firm that recognizes the importance of timely, innovative and relevant legal advice. The firm has established two codes - the Code of Professional Excellence and the Code of Service Excellence - which articulate how it meets needs. Drawing on the strengths of knowledgeable and skilled individuals who represent a variety of viewpoints, experiences, and backgrounds, underscores BLG's core value of maintaining a diverse team (currently more than 725 lawyers, intellectual property agents and other professionals) to provide a broad range of legal solutions. Born in Indonesia in 1937, Dr. Bernard Bot studied at Leiden and Harvard Universities, entering the Dutch diplomatic service in 1963. He served in a.o. Buenos Aires, East Berlin and as Ambassador in Ankara, deputy-permanent representative to NATO and, from 1992 until 2002, as permanent representative to the European Union. Dr. Bot was the Dutch Minister of Foreign affairs between 2003 and 2007. Part of this article is an adaptation of his Beyen lecture, delivered in Utrecht on 6 March 2004. Brett Boudreau served with the Canadian military for 28 years, mainly in the field of public affairs, retiring as a Colonel and the senior military PAO in the CAF. Since 2009, he has been owner and principal consultant of a strategic communications consulting firm counting Government, the private sector and NATO as clients, and is now based in London, UK. Brett holds an M.A. in Public Administration, is a Fellow with the Canadian Global Affairs Institute, a Senior Analyst for Wikistrat, and is a Freeman of the UK Guild of Public Relations Practitioners. Dr. James Boutilier is the Asia-Pacific Policy Advisor at Canada’s Maritime Forces Pacific Headquarters in Esquimalt, British Columbia. Dr. Boutilier attended Dalhousie University (BA History, 1960), McMaster University (MA History, 1962), and the University of London (PhD History, 1969). He has held posts at various universities throughout his career, including the University of the South Pacific in Suva, Fiji, Royal Roads Military College in Victoria, British Columbia and the University of Victoria. His field of expertise is Asia-Pacific defence and security, and has written extensively on maritime and security concerns. He lectures nationally and internationally on political, economic, and security developments in the Asia-Pacific region. 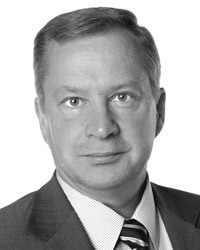 Alain Bovis is currently President of Innovis, a consulting company in naval shipbuilding. He retired at the rank of Rear-Admiral after 27 years as a Naval Constructor within the French Ministry of Defense. In industry, he has been successively head of the DCNS propulsion systems branch, Managing Director of Armaris, a joint venture between DCNS and THALES; Chairman and CEO of SIREHNA, an engineering company in automatic control systems; and Science and Technology Director for DCNS. He is also a Professor of Naval Architecture in several academic institutions. Richard Bray began his media career in 1972 in West Germany as an announcer with the Canadian Forces Network, a radio service for Canadian military personnel serving with NATO. Before 1984 when he began a freelance career, Mr. Bray worked with the national radio and television networks of the Canadian Broadcasting Corporation in Toronto as a producer, reporter and senior news editor. During that time, he wrote and presented material on‑air for such national news and current affairs broadcasts as Sunday Morning, The World at Six and World Report. After a distinguished career in Canada’s federal Public Service (CSE, PCO, TBS Program Branch, CSIS and the Solicitor General Secretariat), Alan Breakspear began his consulting practice in 1994. He is now President and CEO of Ibis Research Inc. , and a Director of BGB Advantage Corp. providing international clients with services in Competitive Intelligence and Knowledge Management. Founding Chair of the Ottawa Chapter of the Society of Competitive Intelligence Professionals, he has taught Competitive Intelligence in many settings, including the University of Ottawa’s EMBA program and several federal departments, and has been a featured speaker and workshop leader at conferences throughout North America. A former Armoured officer, Angus Brown works in Ottawa as a consultant and military historian, served as Vice-President of the Friends of the Canadian War Museum. Captain(N) Brown retired from the Canadian Navy following 37 years of service in 2003. During his career he commanded the destroyer HMCS IROQUOIS and the Canadian Training Group Pacific. He also worked on the Joint Staff at NDHQ with responsibility for planning all CF deployed operations. During his final years in the Navy he served as Canada's Defence Attaché to Japan. He is currently serving as a Naval Reservist in the position of Special Adviser to the Director General Maritime Personnel and Readiness at NDHQ. During a 38-year career as a columnist Dave Brown wrote 10,000 daily Columns many of which recounted individual war memories and local police stories. He retired from the Ottawa Citizen in 2003 but continues to write a weekly column. He won a National Newspaper Award for "best column" in 1992 and has won awards from Canadian Legion Dominion Command, and Veterans Affairs Canada. Much of his work has focused on veterans issues and military history. His combined output over those years passes the 7.5 million word mark, and would be about equal to the content of the Encyclopedia Britannica. Dave's most recent compilation book, Best of Brown - Window on Ottawa, was published in 2003. A 16-year veteran of the Royal Canadian Mounted Police, Jacques Brunelle is currently an investigator with their National Security Investigation Section in Ottawa. His first book on the RCMP, The Royal Canadian Mounted Police in the 1990s: Their Uniforms and Kit was well received and a second edition is currently in the works. He has written numerous articles for Blue Line, Pony Express and Information magazines dealing with police matters and police aviation in particular. Originally from Lachine, Quebec, Jacques attended Dawson College and Concordia University in Montreal. He was selected to be a pallbearer for both Canada's Unknown Soldier and the following year for the former Prime Minister Pierre Elliot Trudeau. Casey Brunelle is a serving member of the Canadian Army Primary Reserves in Ottawa. His interests extend to strategic military policy and procurement, critical infrastructure protection, and international development theory. He has recently completed a 450,000-word political science fiction novel, with further editions in the works. While currently attending the University of Ottawa, as an honours student in International Development and Globalization, Casey regularly attends security and intelligence symposiums within the National Capital Region. Ron Buck joined theNavy in 1967, graduated from McGill University in 1971 and was commissioned as a Sub-lieutenant, serving his formative years on various Canadian ships. After being posted to National Defence Headquarters, he was selected as the Project Manager for the Maritime Coastal Defence Vessel Project (1989) which delivered 12 ships to the Navy. As Commander Fifth Canadian Destroyer Squadron, he led the operational acceptance of the Canadian Patrol Frigates and updated Tribal Destroyers to fleet operations. Additional promotions and challenging responsibilities followed until Ron was appointed as Vice Chief of the Defence Staff and served as VCDS from 2004 to 2006. He retired in 2006 after almost 40 years of service in the Canadian Forces – but quickly failed retirement. Dr. Robert J. Bunker is adjunct faculty, School of Politics and Economics, Claremont Graduate University and an Adjunct Research Professor, Strategic Studies Institute, U.S. Army War College. Past professional associations include Distinguished Visiting Professor and Minerva Chair at the Strategic Studies Institute, U.S. Army War College, and Futurist in Residence, Training and Development Division, Behavioral Science Unit, Federal Bureau of Investigation Academy. The views expressed in his article are his own and do not necessarily reflect the official policy or position of the Department of the Army, the Department of Defense, or the U.S. Government.